Magner Pelican 305S+ — C&A Associates, Inc. 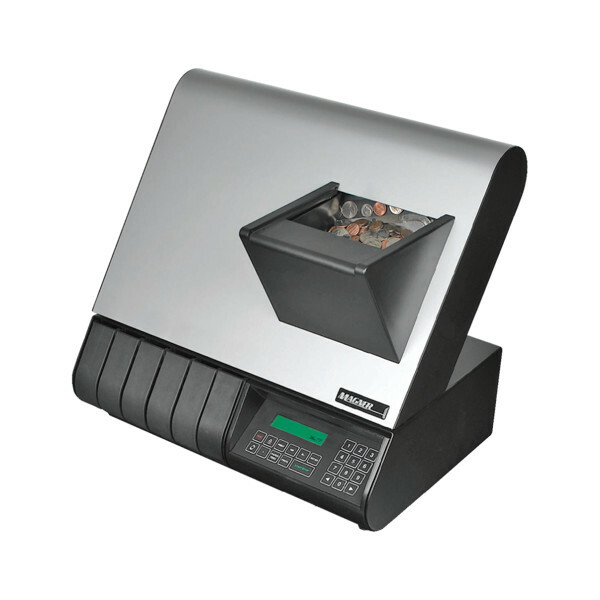 Designed for ease of use and rugged performance, the Pelican 305S+ Coin Sorter processes mixed coin at speeds up to 700 coins per minute. Using advanced alloy sensor technology the Pelican can also off-sort unwanted coins or objects from the coin mix. In a tabletop or full bagging configuration, the Pelican 305 provides outstanding value for mid-range sorting applications.